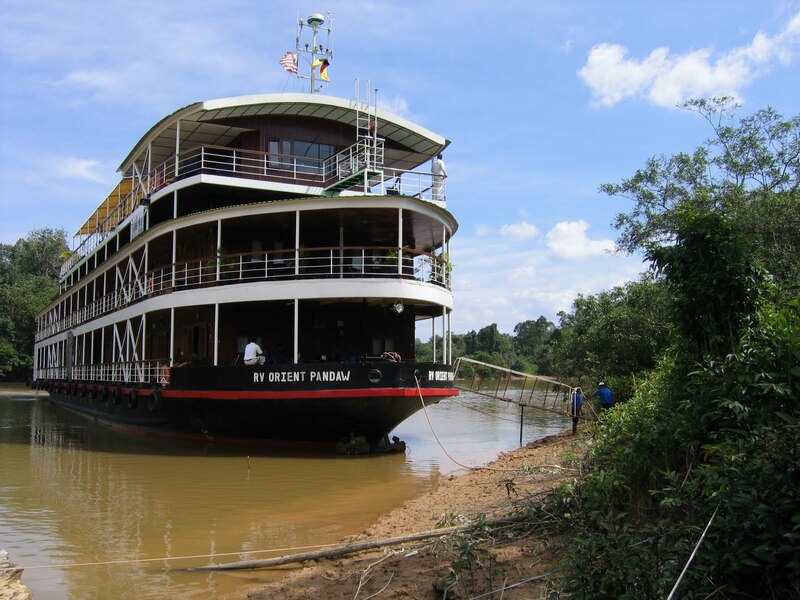 PANDAW River Cruises has a 6-day/5-night luxury sailing aboard its replica 19th century, 30-cabin riverboat Orient Pandaw into the heart of Borneo, to which can be added an optional 2-nights pre-cruise hotel-stay to visit an Orang Utan conservation and rehabilitation centre, and an optional post-cruise 2-nights hotel-stay for a visit to the Mulu National Park and Caves. Highlights of the river cruise include a visit to the historic Fort Sylvia built during the era of the famous colonial Rajahs Brooke, bustling markets, a jungle longhouse, a village school (school terms only,) a jungle trek, a picnic lunch on a riverside beach, and a museum capturing the culture, lifestyle and history of the Borneo. Cruise-only prices begin from as low as $1260pp on selected cruises between now and March 2012, and include transfers from Sibu Airport on day of embarkation and disembarkation, twin-share accommodation, main meals and locally made beers and soft drinks, jugged coffee and a selection of teas and tisanes (JB WHAT ARE TISANES????) mineral waters onboard Orient Pandaw, entrance fees, guide services, and onboard crew gratuities. * THE pre-cruise package includes 2-nights at the Pullman Kuching Hotel with breakfasts, a day visit to the Semenggoh Wildlife Centre and Matang Wildlife Centre and a day visit to the Sarawak Cultural Centre (both with transport and lunch,) hotel-airport transfer and flight to Sibu to join Orient Pandaw. The post-cruise 2-nights is at the Royal Mulu Resort and includes a 1-day Miri City Tour and Mulu National Park visit and a 1-day Mulu Caves visit, breakfasts and select other meals, airport transfers and necessary domestic air connections.